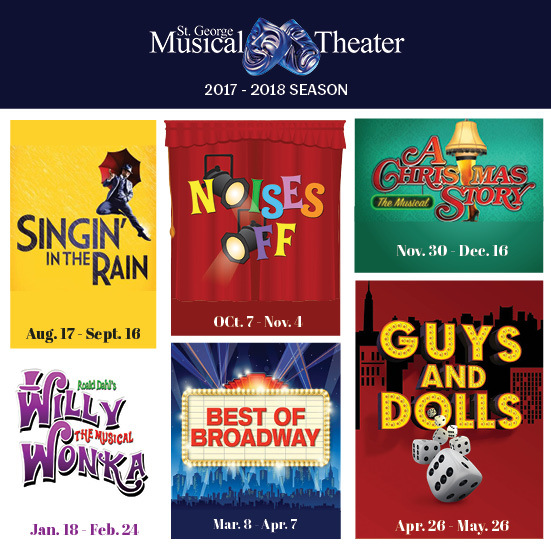 The 2017/2018 season has started at St. George Musical Theater! Singing' in the Rain is wrapping up but there is still time to see it before it ends! Don't miss the other great shows happening through the end of next May!